Start date: Preferably 18/05/2019 but start date flexible for the right candidate. Days/Hours: 20 hours per week but as position is live-in, family are happy for the hours to be completed around other possible commitments. Salary: £800- £900 gross per month to include free accommodation; comprising of own room and private bathroom on separate floor. This will equate to approximately £10 per hour worked plus the accommodation. This young and fun family is seeking ongoing, a long term and reliable home help/ housekeeper to assist with the day to day running of a busy home. As this role is live in but only part-time, it may suit someone who has another job or commitment to work around. Your tasks will include general day to day upkeep of the house to include amongst others, light housekeeping, laundry, bed linen changes, general shopping, house cleaning and some meal preparation. The family has two young children who are currently aged 5 and 2, and although there is very limited hands on childcare required in this role, you will need to enjoy and appreciate the company of small children. Once a week, usually on a Tuesday, the family would like you to babysit – the children would be asleep by the time the parents leave. The ideal candidate will be willing to provide a long-term commitment to the post, and be proactive, with a positive outlook on life. You should have an up to date DBS certificate (ideally on the update service) and excellent verifiable references. A lovely family with a beautiful baby boy who live in Mayfair, London W1 seek a nurturing and positive live-in nanny to work 4 days a week Monday to Thursday. Salary will be up to £450 gross per week for the right person (£23,400 gross annually). The role can start as early as May for the right person. Days and hours: approx 50 hours a week namely 7am – 7pm Monday to Thursday. Some occasional babysitting (up to 2 times a week) may be required and discussed in advance. The baby boy is 11 months old. You will attend swimming classes each Thursday/toddler classes/playgroups, bottle feeding (experience of weaning would be a bonus), occasional grocery shopping, cook appropriate meals for the baby, manage his bedroom/play spaces (e.g. change beds/sorting clothes and toys) his laundry/ironing and play age appropriate games and help and encourage with his development. You will be relaxed, positive, tidy and proactive. You’ll be nurturing and kind, polite and friendly and able to use your own initiative (have a good level of common sense!). You’ll need to be experienced with babies and have a positive and fun disposition. You’ll be respectful of their home and help to keep it tidy at the end of each working day for when mum and dad arrive home. Other duties such as helping to keep the kitchen clean, putting out bins, hoovering when needed will be required. No deep cleaning duties will be expected. You’ll have a genuine love for children and at least 3 years solid sole charge experience with babies. You will have a good level of English. You will need to have excellent checkable references, be physically fit, will be a non-smoker, have a happy disposition, honest and kind. You will need to have a current enhanced DBS certificate, paediatric first aid and at least 3 years solid nanny experience with babies and toddlers. Please contact jessie@happyfamiliesnannies.co.uk for further information or to apply. A reliable, trustworthy and very energetic nanny is sought to join a family of four in Northwood (HA6). The family comprises Mum, Dad and their baby twin girls who will be four months old at the start of the job. To start: early July 2019. Days and hours: ideally 55 hours a week, namely Monday to Friday with some flexibility for start and end times for the right candidate. However, if the right candidate wished to work four days days per week, the family may consider this. Salary: between £33,000 and £38,000 depending on experience based on a 55 hour week. You will help with all elements of the babies’ care, working closely with their parents to create a strong routine and a very happy and loving environment for them. Either Mum or Dad will be at home to support at least for the first few months, and you need to be comfortable working alongside a parent in the house. You should be a great communicator, and experienced enough to take a lead and proactively encourage the babies’ development, as well as being very collaborative with the parents. You should have at least 5 years’ childcare experience of which at least 2 years should be as a nanny. You should have recent baby experience (i.e. within the last 2 years) and experience with twins would be a bonus but is not essential. You should have a recent DBS certificate, be NVQ level 3 trained or above and be paediatric first aid certified. You should have excellent checkable references. You do not need to own a car or necessarily be a driver, although this may be a benefit for getting to and from work. This role could also be live in – you’d have your own bedroom and ensuite bathroom, as well as your own kitchen and dining area. Please contact helen@happyfamiliesnannies.co.uk for more information or to apply. A proactive, hands on and energetic nanny is sought to join a lovely family of four in Northwood, Middlesex. The family comprises Mum, Dad and their two little girls who are aged (almost) three and one at the start of the job. Salary: up to £27,500 p.a. depending on experience and based on a 44 hour week. If fewer or more hours were agreed the salary would be adjusted to reflect this. This is a fantastic role within a warm and loving family, working with two very young children. You will need to have lots of experience with children of this age, and really love engaging and having fun with them, with plenty of ideas for creating different experiences for the girls both within the home and out. The family lives within walking distance of plenty of classes, toddler groups and open spaces, so there are many opportunities to socialise within the local community, and the family encourages this as much as possible. Wider duties are nursery focussed only – preparing and serving meals for the children (understanding a balanced diet), children’s laundry, and managing the children’s rooms and play spaces. You should have a good understanding of the routines and developmental needs of very young children, and an excellent hands-on understanding of how to plan your time around these. Mum works full time and Dad will shortly be away long-term with work, so a nanny who is reliable, punctual and who has an excellent sickness record is paramount. You should have at least 5 years’ experience working with pre-school aged children, of which at least 3 should be as a nanny. You should have an up to date DBS certificate, relevant childcare qualification, and paediatric first aid certification. A driver is not required, though if you do drive the family would need you to be willing to use your car for work purposes. Ofsted registration (or a willingness to become Ofsted registered) is required, and the family will meet the cost of the annual registration fee. A lovely family with a beautiful baby boy who live close to Oxford Street, London W1 seek a kind and loyal live-out nanny to work 4 days a week Monday to Thursday. Salary: be up to £600 gross per week depending on experience (£31,200 gross annually). To start: Monday April 29th 2019. Days and hours: 40 hours a week, namely 8am – 6pm Monday to Thursday. Some occasional babysitting (up to four times a month) may be required. You’d get paid extra for this and dates would be discussed in advance. The baby boy is 11 months old. You will attend toddler groups/toddler classes/playgroups, bottle feeding (experience of weaning would be a bonus), occasional grocery shopping, cook appropriate meals for the baby, manage his bedroom/play spaces (e.g. change beds/sorting clothes and toys) his laundry/ironing and play age appropriate games and help and encourage with his development. You will need to have excellent checkable references, be physically fit, will be a non-smoker, have a happy disposition, honest and kind. You will need to have a current enhanced DBS certificate, paediatric first aid and at least 3 years childcare / nanny experience with babies and toddlers. Please contact jessie@happyfamiliesnannies.co.uk for more information or to apply. An afternoon/evening nanny is sought to work within a family based in Woking. The family consists of Mum and her two daughters aged 5 & 3yrs. From April to September you will arrive and finish helping the girls with their breakfast, you will get the eldest ready for school (term time) and drop her off. After dropping the eldest you will have the youngest for the day, attending playgroups or classes, preparing lunch and a play before collecting the eldest child from school. After school you will take the girls to activities or come home to play, do homework/reading and prepare dinner. Following this you will bath the girls and read stories before Mum arrives home around 6.45pm. From September you will collect the youngest from nursery at 12.15pm and take her home for lunch and a play/outing before collecting the eldest child from school. The evening routine will be the same as above. During the school holidays, the days will be spent at organised activities, on outings, with friends or playing at home. The duties are completely nanny focussed; creating a fun and loving environment for the children. You will need to have experience of working with, and be good at communicating with, children of this age. The family is seeking a long-term, reliable and flexible nanny who is responsible, kind and nurturing with lots of common sense and a ‘can do’ attitude, along with a genuine passion for children. You’ll need to be an owner driver and have a full clean driving license, an up to date DBS certificate or be willing to obtain one, and a paediatric first aid certificate. Please contact vicky@happyfamiliesnannies.co.uk for more information or to apply. An energetic, fun and flexible nanny and housekeeper is sought to join a busy and lively family of 6 in Great Missenden, Bucks. The family comprises Mum, Dad and their four boys aged 10, twins of 8 and 4. Days and hours: likely to be approximately 30 hours a week over three days. This could be any three days of the week to suit other committments that the nanny/housekeeper may have, and The family does have considerable flexibility on days and hours for the perfect candidate so is open to suggestions for the right person! Salary: up to £13 gross per hour depending on your experience (c. £20,500 for a 30 hour week). The family lives on a large property with lots of land, and they have many pets! Mum does not work currently, but is often busy with the animals and with other activities, so this is very much a collaborative role where you would be working in a team with Mum but also being very proactive and happy to take lots of initiative as needed. There is a blend of housekeeping and hands on childcare, approximately 50:50 in terms of time. Your housekeeping will ideally include cooking for the children, family laundry and ironing, managing the children’s rooms and belongings, and generally helping to keep the standard of the house to a good level. The first couple of hours of the day will be housekeeping, then you’ll then pick the children up from school (or Mum may do this) and the after school time is very hands on with the boys – helping with their homework, playing with them, taking to after school activities etc. You should be engaging, fun and with masses of energy and patience to really engage and help the boys. An understanding of school aged children is very important, as is a great sense of humour! The current nanny & housekeeper has been with the family for 11 years. During the school holidays the family is also away for around 10 weeks every year (including around 8 weeks in the summer), which would be paid. During the remaining weeks of the holidays, you’d be quite hands on with the children! You should have at least 5 years of childcare experience and at least 3 years of housekeeping experience. You should have a paediatric first aid certificate, DBS certificate and excellent references. A confident driver is required, and the family will insure you on their car for work use. You should be a non smoker and speak very fluent English. A family of four is seeking a sole charge nanny for Fridays only. The family has two little boys currently 3.5 and 2. Both parents work full time, and the boys are currently in full time nursery. The family would like the children to have Friday at home each week, to enable them to have a bit of down time at home, hence they are looking for a nanny for Fridays. Your focus should be to create a happy and relaxing environment at home, to allow the boys to play with their toys. As a result, you won’t be required to organise too many activities as the boys get lots of stimulation at nursery, but if the weather is nice you can go out to the park, for a walk etc. Light nursery duties only are required – children’s laundry, feeding them healthy meals and snacks, and making sure that toys are tidied away at the end of the day. Dad works locally so sometimes pops home at lunchtime, mum is usually home by 4pm each day. You should have a recent DBS certificate (or be on the update service) and paediatric first aid certificate (or be willing to obtain these). A driver is not required. You should have at least 3 years of childcare experience. Contact helen@happyfamiliesnannies.co.uk for further information or to apply. The family are based in West Hampstead NW6. You’ll need to be a fluent English speaker. Days needed: Saturday and Sunday and bank holidays. You’d be required to work from 11am – 9pm Saturday and from 9am – 6pm Sunday, although the hours can be slightly flexible to suit the individual. The role will be a permanent and long term. Start date: ASAP for the right person. Salary: Based on a 19 hour weekend: up to £16 gross per hour / approx £304 gross per weekend / approx £1,315 gross per month / £15,808 gross per year. You will be expected to help mum and dad to take care of the little boy who is 18months old and the twins who are due to come home from hospital in June. They were born early and so are being well cared for in hospital. Mum and dad are regularly visiting the babies and so need help taking care of their son and their home when they’re out. The twins should be home by mid June. Mum and dad need an extra pair of hands, duties will include light housework, help with their son and help with the babies when they’re home. You’ll be proactive and able to use your own initiative. You’ll be loving and nurturing. Feeding the children and helping with sterilising will be required as well as helping with bath time and bedtime. Mum and dad will be around and so may help at times. They have a close and large family and often have grandparents popping in. You’ll have to be comfortable with this set up and be flexible with your time and duties. The ideal nanny: You’ll be someone with a genuine passion to work with babies and toddlers, you’ll be professional and calm, patient and nurturing, loving and kind, friendly and easy going, happy to do all child related duties, cooking, cleaning, tidying, laundry and other light housework duties. It would be a great bonus if you live locally. A driver with own car with a full, clean license will be preferred and a fluent English speaker. *Experience of taking care of three children. A lovely family is seeking an after school nanny (10 hours a week during term time and 42 hrs a week during school holidays) to help with a 9 year old girl. The family are based in Belsize Park, North London NW3. Days and hours: During the term time (35 weeks per year), You’ll work three afternoons per week being (preferably Mon, Thurs and Fri but there is some flexibility on this) from 3.30pm to 6.30pm on two days and from 3.30pm until 7.30pm on one day. During the school holidays (17 weeks per year) you’ll work four full days per week (days to be agreed). Two of the days are from 8.30am until 6.30pm and two are from 8.30am until 7.30pm. Salary (which is a pro rata blend of the term and holiday time worked) will be around £13,000 gross per year depending on your experiences and qualifications. The family will offer extra in the form of additional babysitting and there is scope for some additional hours if wanted. Start date: ideally 11th March 2019. Duties will include school pick up, help and support with homework (you’ll need to be capable and bright! ), taking their daughter to any after school activities or attend pre booked activities with her with her including ballet, violin and Brownies. You’ll cook nutritious meals for the child and manage all child related duties including tidying the areas where she sleeps, studies, plays and eats. The family are looking for a nanny who is bright, speaks excellent English (needs to be able to help and support homework). You will be good, caring, fun and out-going, but also able to be firm when necessary, someone who can take the initiative and undertake fun activities, particularly for the holidays. You’ll need to be mature, responsible, trustworthy and reliable. You will be completely capable and confident to take care of a child of this age and have had some nannying experience. You will need a current enhanced DBS certificate, paediatric first aid certificate and excellent checkable references. An afternoon/evening nanny is sought to work within a family based in Guildford. The family consists of Mum, Dad and their son aged 2. Days and hours: This role will be 20 hours a week from March to August, and from September onwards it will be 25 hours a week with 60 hours in the holidays. March – August 2019, 20 hrs a week (Monday, Tuesday, Thursday and Friday 5.30pm-7.30pm, and Wednesday 7:30am – 7:30pm). September 2019 onwards, 25-60 hours a week (Monday – Friday 2:30pm – 7:30pm for 34 weeks a year and Monday-Friday 7:30am-7:30pm in the holidays (18 weeks a year). Salary: £12 gross per hour, £12,480 p/a (5 months only), From September 2019: £23,160 gross p.a. You will collect the child from nursery at 5.30pm and return to the family’s home, which is a short walk away. You will prepare and give the child his evening meal, give him a bath and get him ready for bed. On a Wednesday you will arrive at the family house and prepare breakfast, attend any activities, supervise lunch and a nap. In the afternoons you will take the child out or play at home before preparing dinner and getting the child bathed and ready for bed. In September the school pickup will be earlier, and possibly a short drive away, but the routine much the same. Come the holidays, full days will be required and the days will be spent at organised activities, on outings or playing at home. The duties are completely nanny focussed, creating a fun and loving environment for the child. You will need to have experience of working with, and be good at communicating with, children of this age. The family is seeking a reliable and flexible nanny who is responsible, kind and nurturing with lots of common sense and a ‘can do’ attitude, along with a genuine passion for children. You need to be an owner driver (willing to drive your car for work purposes), have an up to date DBS certificate or be willing to obtain one, and a paediatric first aid certificate. Contact vicky@happyfamiliesnannies.co.uk for more information or to apply. A lovely family with two young school aged children based in East Finchley, N2 are seeking a part-time nanny who is a confident London driver (with their own car ideally) to work 10-12 hours a week during term time and school holidays. Salary: up to £12 gross per hour for the right person. Up to £7,488 gross a year / £624 gross a month. Days and hours: You’ll work three afternoons per week being Monday, Wednesday and Thursday 2.30pm – 6.30pm (There may be a certain level of flexibility to swap one day with a Thursday). During school holidays the hours/days may change slightly if it worked for the candidate. To start: ideally 24th March 2019. You will take sole charge care of two lovely children, a boy age 5 and a girl age 7 years old. Duties will include preparing evening meals for the children, school pick up (10 mins drive from home), both children attend the same school. You’ll help and support with homework (you’ll need to be capable and a fluent English speaker! ), prepare uniforms for the next day, play with the children and engage with them in age appropriate games and fun activities, you’ll manage any play dates they have, take the children to any after school activities or attend pre booked activities with them. You’ll cook nutritious meals for the children and manage all child related duties including tidying the areas where they sleep, study, play and eat ensuring their home is in good order for when mum and dad arrive home at the end of the day. The family are looking for a nanny who is perhaps a student, someone fun and energetic, an excellent English speaker. You’ll need to be responsible, trustworthy and very importantly….punctual and reliable. You will be caring, able to use your own initiative, able to be firm but fair when necessary, someone proactive and capable to take care of children of this age. 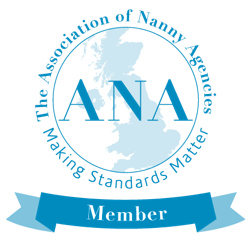 You’ll ideally have prior nanny experience and at least 2 years childcare experience. A non-smoker, you will need a current enhanced DBS certificate, paediatric first aid certificate and excellent checkable references. An afternoon/evening nanny is sought to work within a family based in Surbiton. The family consists of Mum, Dad and their twins aged 4. Core hours are 22-46 per week; Monday to Thursday 7-9am & 3pm-6.30pm term-time/ Monday to Thursday 7am-6.30pm during school holidays. Pay: Up to £13 gross per hour. (The term-time and holiday hours will be calculated so an equal monthly salary will be paid) £20k gross per annum. You will get the children’s breakfast ready and dress them for school, you will then drive them to their school which is around a 10 minute drive away from the family’s home (mileage will be reimbursed as you’ll need to use your own car). Some days, the children attend after school activities and you will support them in helping to prepare and take them to these. In the school holidays full days will be required and the days will be spent with friends, on outings or playing at home. The duties are completely nanny focussed, creating a fun and loving environment for the children. You will need to have some experience of working with school age children, and be good at communicating with children of this age. The family is seeking a nanny who is responsible, kind and nurturing with lots of common sense and a ‘can do’ attitude, and has a genuine passion for children. You need to be an owner driver (willing to drive your car for work purposes), and to have an up to date DBS certificate or be willing to obtain one. A fun and caring nanny is sought for a family living in Emmer Green RG4 to cover their existing nanny’s maternity leave. The family consists of Mum, Dad and their daughters aged 7 and 10. Both parents work in London. Days and hours: 1.00pm to 7.30pm Tuesday to Friday, with additional hours available during the school holidays, if desired, for the right candidate. The position is likely to be for a period of 9 months. Salary: c.£16,224 gross per annum, based on £12 gross per hour. Start date: last week in April, sooner if the right candidate is found. You will be responsible for some light housekeeping work before collecting the children from school and bringing them home. You will also take them to their after school activities, as well as providing them with healthy meals and snacks; and supporting with homework. An owner driver is essential. Please contact steph@happyfamiliesnannies.co.uk for more information or to apply. An after school nanny is sought for a family living in Wargrave RG10. The family consists of Mum, Dad, their daughter aged 4 and son aged 6. Dad works full time and Mum part time. Days and hours: 2.45pm to 7.00pm Monday and Thursday, with more hours available for housekeeping (up to a total of 15 hours per week) and longer days in the school holidays, for the right candidate. Salary: up to £12 gross per hour. Start date: last week in April, sooner if possible. You will be responsible for nursery / school collection and bringing the children home. You will support with homework/reading, engage the children in fun, age appropriate activities and ensure they are provided with a healthy evening meal. The position would be ideal for someone reliable and flexible. A live out friendly, energetic and nurturing part-time fluent English speaking nanny is required for a family based in Golders Green London NW11, a DRIVER would be a bonus not essential. Hours and days required: up to 33 hours a week. Monday to Friday – essential hours will be from 3pm – 7pm (occasional late night babysitting with advance notice may be required) otherwise you can choose earlier start times on days suitable for you to add up to the necessary weekly hours per contract. Salary: up to £24,960. If you’d rather not do any child related housework, hours can be 3pm – 7pm Monday to Friday – 20 hrs a week. A total gross annual salary of £15,600. Extra hours during school holidays can be offered. The children are ages 7 & 9 years old. Your duties will include school pick up, play dates, after school activities, assisting and supporting with homework, playing with the children, taking them on outings during school holidays, making and cooking the children’s meals and helping with the evening routine. No nursery duties will be required during school holidays. You will need to be capable and happy to help the children with their homework. If you want the extra hours all nursery duties will be required. Children’s laundry, intoning, wardrobe management, organising and keeping the toys clean and in good order, tidying and cleaning the area where the children sleep, eat and play. You’ll be a fluent English speaker, have a happy disposition and a can do attitude. A driver would be a bonus but not essential. The family are looking for someone who can commit to a minimum of a year. You’ll be a non smoker, have a happy disposition, energetic and physically fit, honest and kind, happy to cook healthy meals, you’ll need a current enhanced DBS certificate and first aid certificate. You will need to have worked with this age group for at least two years and ideally you’ll have previous nanny experience.